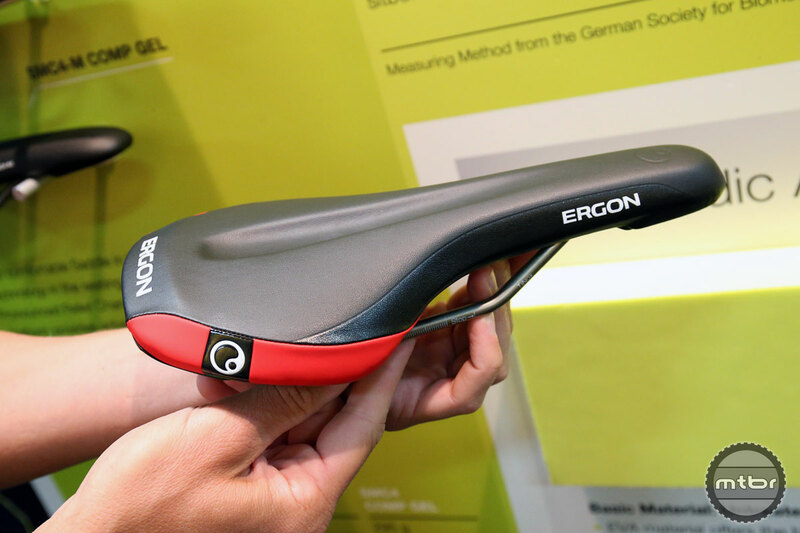 For 2016, Ergon has a new saddle designed for all day comfort, as well as a slimmer version of its popular GE1 grip. 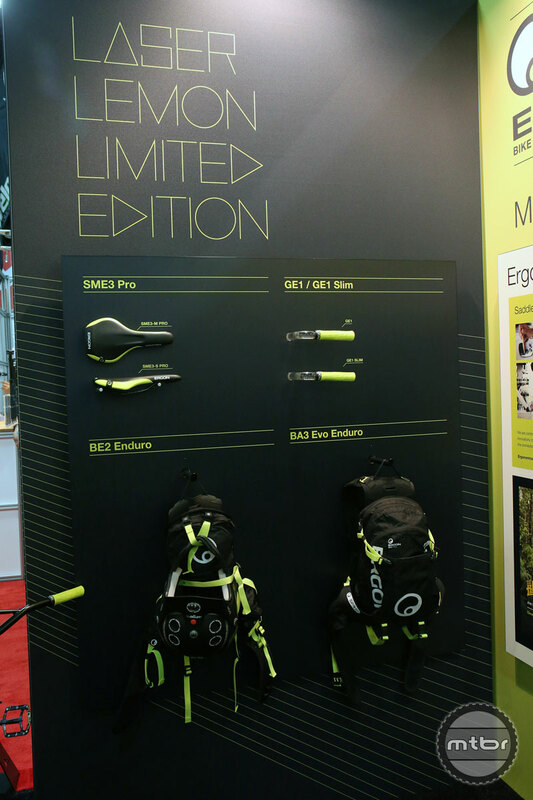 Mountain bike legend Richie Schley and enduro racer Rachel Throop discuss the new SMA3 Enduro saddle and GE1 Grips. 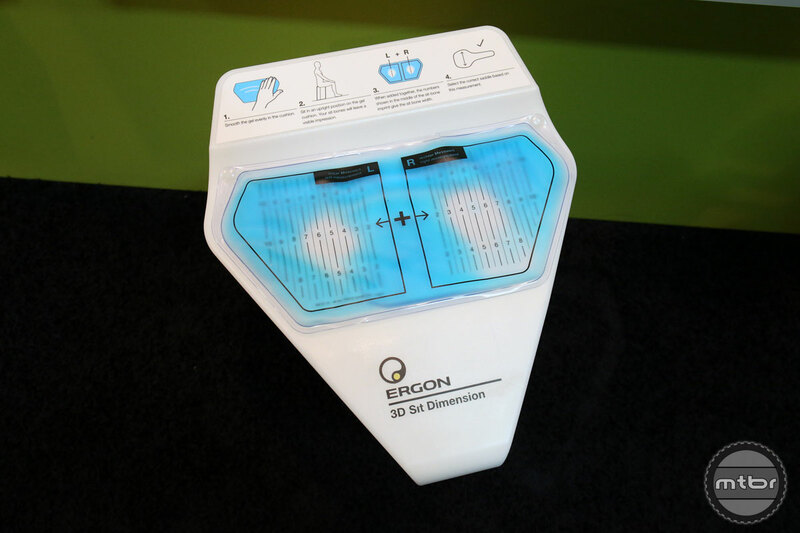 The new Ergon SMA3 saddle is based off the previous enduro model, but Ergon redesigned it to be more comfortable. It is also built with an anti-friction coating to allow riders to move around without catching on the saddle. Also new is the GE1 slim grip, which was developed in part with input from Rachel Throop. 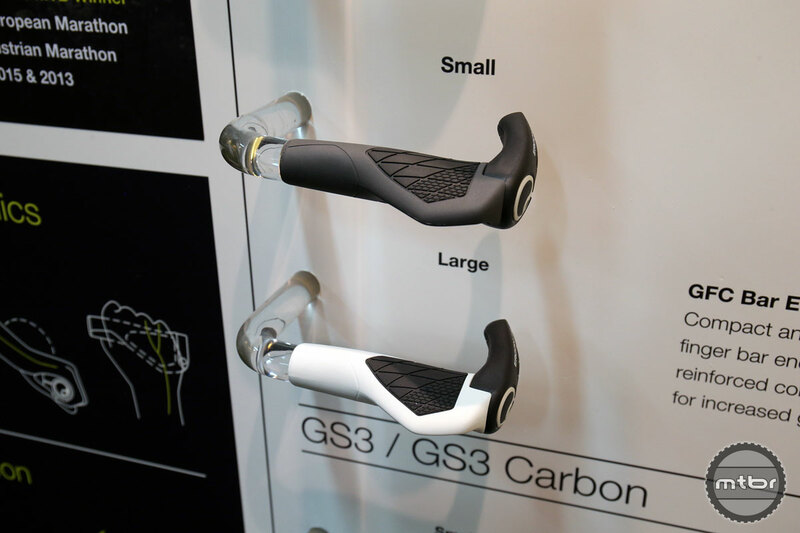 Like the standard GE1, the grips have an ergonomic form factor, and are super tacky. Even more comfort, improved pressure distribution for the soft tissue areas. 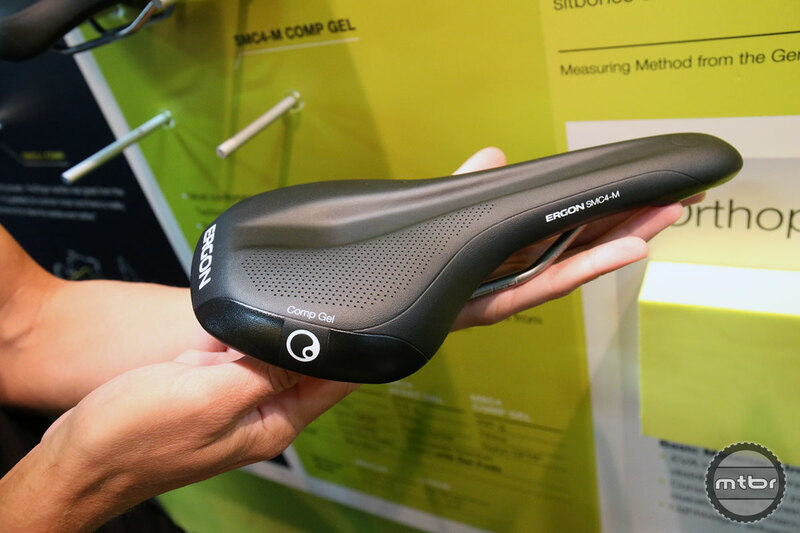 Compared to the SMC3’s softer structure and additional volume in the seat cushion. Optimal pressure relief in the perineum area by 9 mm deep relief channel. An extra large seat effectively reduces pressure peaks and optimally distributes the pressure on the sit bones and pubic bones. Features a flat seat for dynamic sitting in different positions without tilting effects – unlike step saddles. SMC4 Comp Gel and SMC4 Sport Gel with gel pads for maximum comfort. The Marathon Saddle. 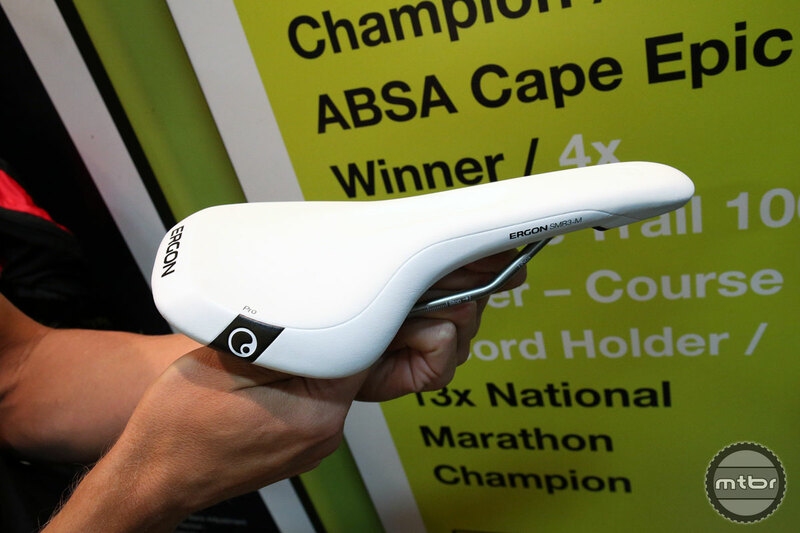 The evolution of the most successful endurance mountain bike saddle in recent times. The supporter of countless Topeak Ergon Racing Team wins. The SM3 has been re-engineered into the SMR3 with massive input from Alban Lakata. Featuring a new generation shell with increased flex, yet greater stability, the flanks feature more give for more freedom of movement for the thighs. The saddle platform geometry has been optimized, and contours improved. 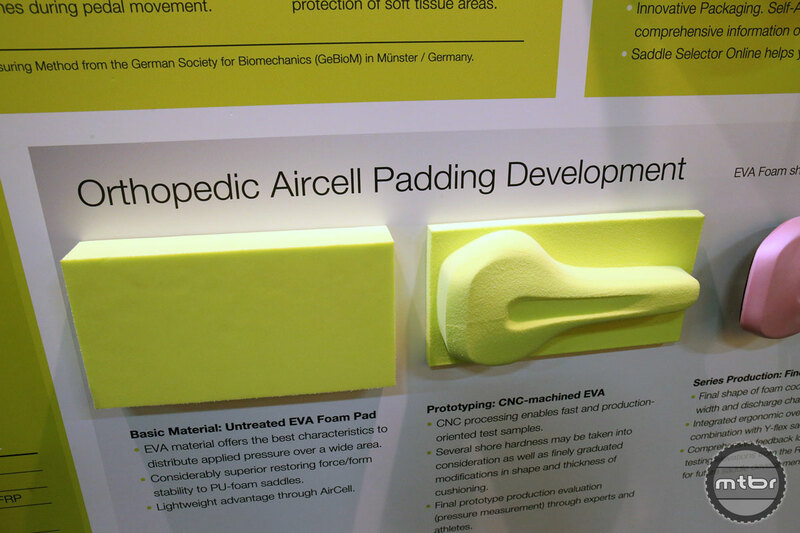 Padding comes from the latest AirCell technology with micro air pockets for increased rebound, support and damping. Lightweight TiNox rails with a Carbon Composite Shell. Shares the padding construction and shell geometry with the Pro Carbon. Silicon nose treatment for extra glide. 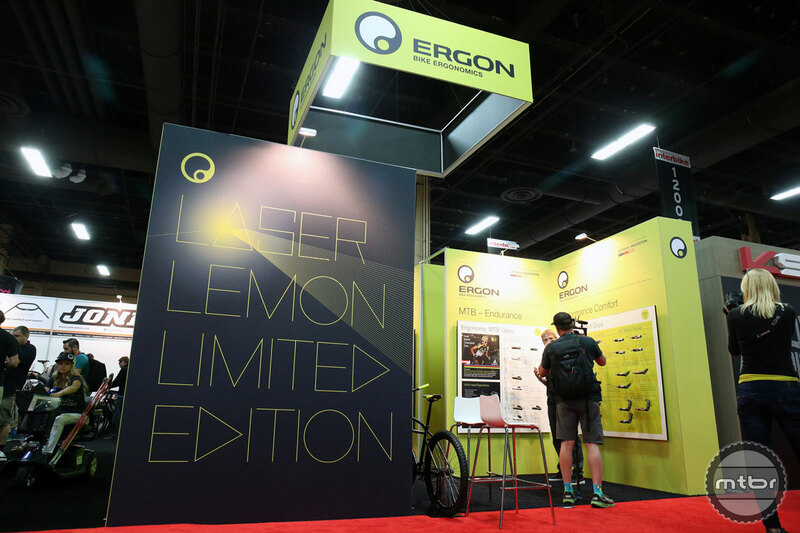 he Laser Lemon Limited Edition is just one the product highlights for 2016. The first ergonomic grip for wide riser bars: Angle-friendly gripping surface for hands and arms developed with the 3x Downhill World Champion Fabien Barel. 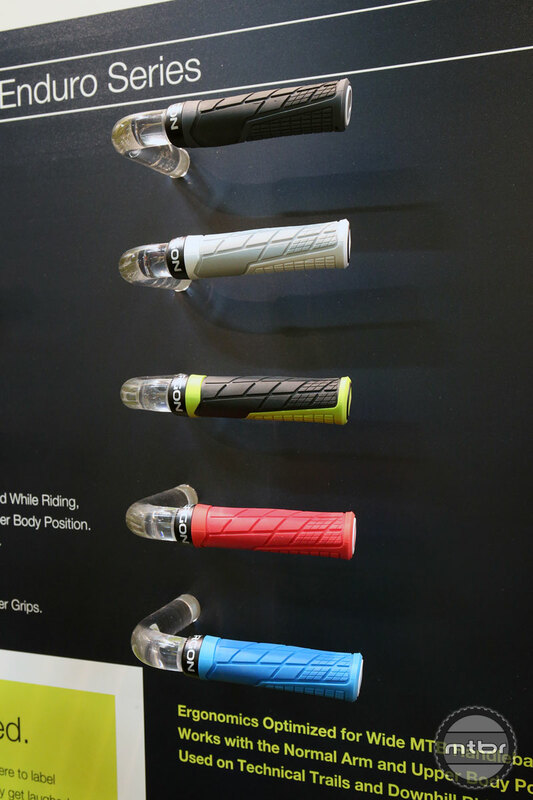 The grip design actively supports the correct upper body position / arm stance for enduro and downhill riding. Forged aluminum inboard clamp, with fully integrated ‘end plug’ which is part of the internal core (Pat Pending.) – This internal core allows the grip edge to be soft for damping vibrations, so the hand can be placed correctly at the end of the bars. Brand New: All Mountain / Gravity grip with non biased layout. The GA2 has a superb tactile feel thanks to the new super soft, UV stable rubber compound, which is exclusively developed and manufactured in Germany for Ergon. This translates on demanding trials into more control. The ergonomic optimised form allows reduced force to be used when gripping, as the grip zones are matched to the hand. The inner construction varies in thickness to allow greater damping. The inboard clamp allows even more grip area at the end of the bars, and is completely secure and carbon bar friendly. New cool colours increase the style factor. Only 3.8 oz. (107 g) per pair. 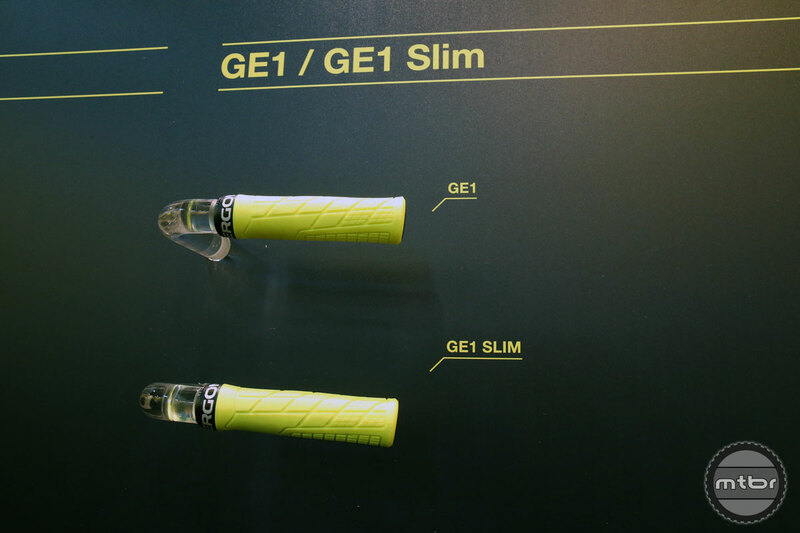 The GE1 is specially developed for Enduro mountain biking. Handlebars are wide, and gripped right at the end, while the riders elbows are kept bent. This position dictates the construction of the grip, and in turn the grip itself is able to prevent typical issues of tension in the arm and hand. With two rubber compounds, there are textured zones orientated against the direction of rotation of the hand. The grip also takes advantage of a lightweight high quality aluminium clamp, securing the damping optimized inner core and the whole grip. Everything optimized for the intended use. The compact 2 finger bar end is made out of a durable fiberglass reinforced composite, with an anti-slip rubber grip. Offering an extra hand position for increased leverage and comfort. 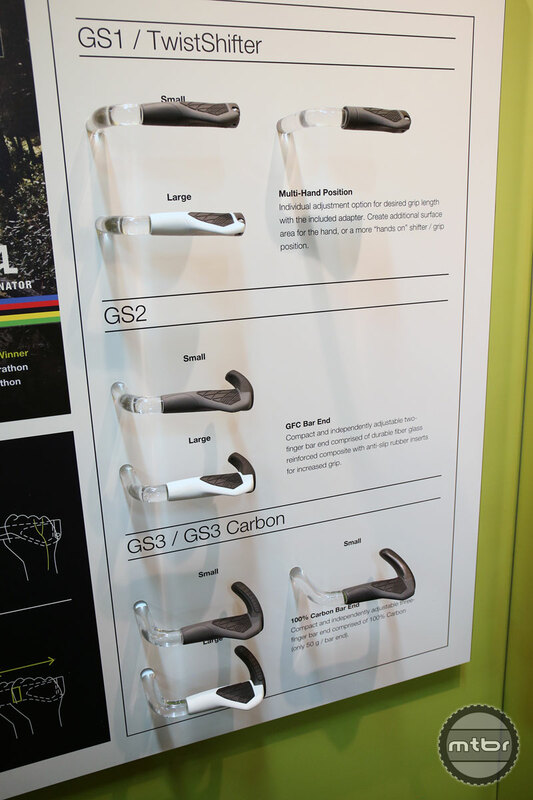 Compatible with carbon handlebars, and significantly simpler fitting, thanks to a new inner core. New lightweight rubber compound – Made in Germany. 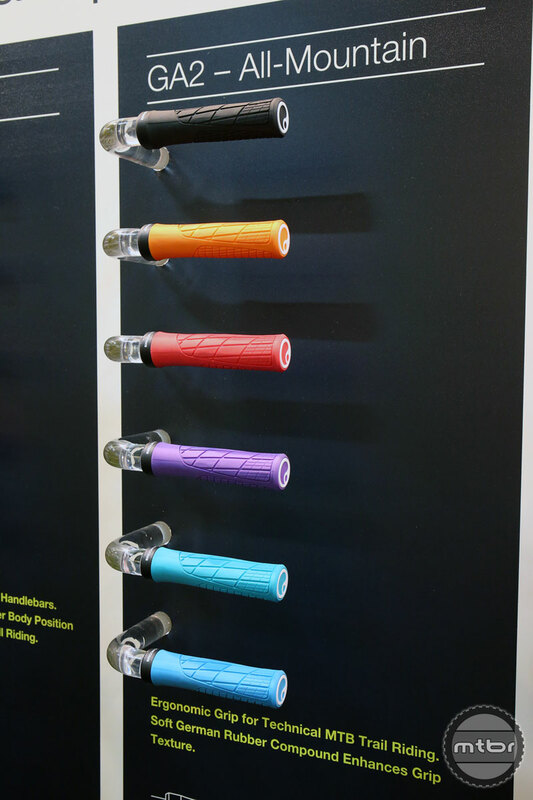 Lightweight ergonomic grips for racing and high performance riding. Compact Mountain Bike backpack for All Mountain use. 4 stage adjustable back length, load compression ‘Adaptive Carrier System’ adjusts to the shape of the rider. The BA3 Evo Enduro offers 915 cubic inches (15 litres) of capacity, with a extra 122 cubic inches (2 litres) expansion. 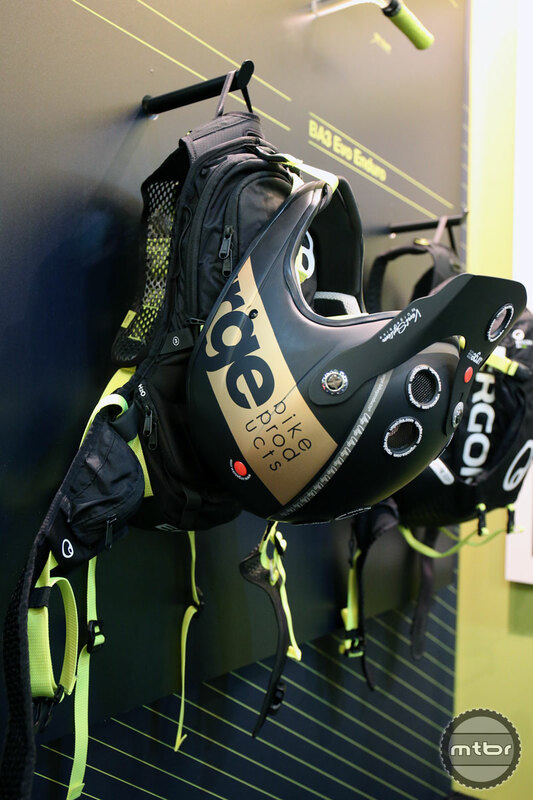 Vertical compartments for protectors, combined full face helmet / wet clothing compartment. Compression straps. Inside the pack has 4 compartments, and a separate pocket for a bladder. The front section and hip strap has small pockets to keep tools, tubes, and a pump oraganized. A loop on the shoulder straps allows a phone holder to be fitted. The wide, elastic hip strap can be adjusted with a single hand, and has both velcro and standard fastenings to ensure the pack stays put when riding. For increased visibility HiLumen reflectors have been integrated. 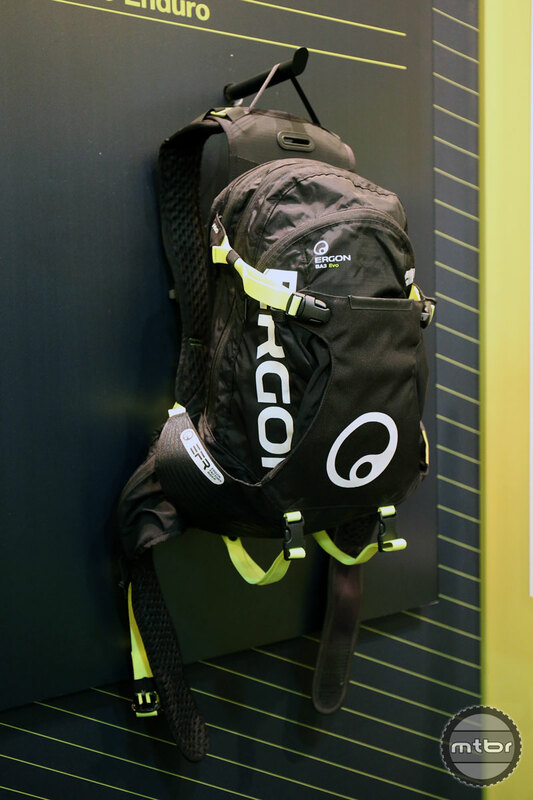 The same features and construction as the BE1 backpack. Compared to the BE1, the BE2 has 183 cubic inches (3 litres) greater load capacity, and 2 additional straps for carrying protectors. Includes BH150 bladder. Back Protector can be added as an option. Super light 37 oz (1055 g) (Size S) / 38 oz (1070 g) (Size L). 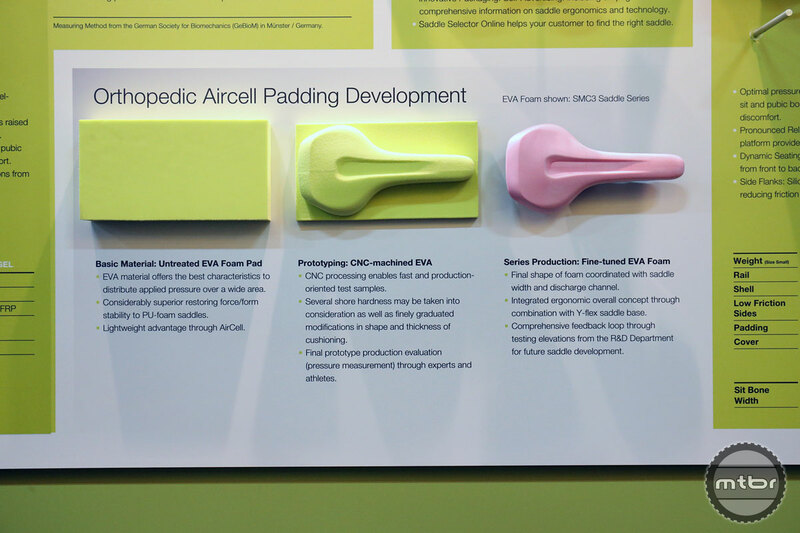 Newly developed, high damping orthopedic padding with micro air cushions is utilized.